Description: We have just spent eight weeks looking at men and women of faith. These men and women had something in common, it was the super natural power of G-d operating in and through their lives. The power of G-d is the distinguishing sign authenticating that the message we bring and the G-d we serve is the real one. Rav Shaul in writing to the Kehilah at Thessalonica say’s “5 For our besorah did not come to you in word only, but also in power, and in the Ruach HaKodesh and in much assurance, as you know what kind of men we were among you for your sake. Then in his first letter to the Corinthians he say’s “20 For the kingdom of G-d is not in word but in power.” Power for the believer is connected to the Ruach HaKodesh. He is the one that enables us to access the power of G-d. This Series will encourage us on this power. The good news is that G-d promised that He would send us both His Ruach and His power and today's message will focus on that promise. We have just spent eight weeks looking at men and women of faith. These men and women had something in common, it was the super natural power of G-d operating in and through their lives. The power of G-d is the distinguishing sign authenticating that the message we bring and the G-d we serve is the real one. Rav Shaul in writing to the Kehilah at Thessalonica say’s “5 For our besorah did not come to you in word only, but also in power, and in the Ruach HaKodesh and in much assurance, as you know what kind of men we were among you for your sake. 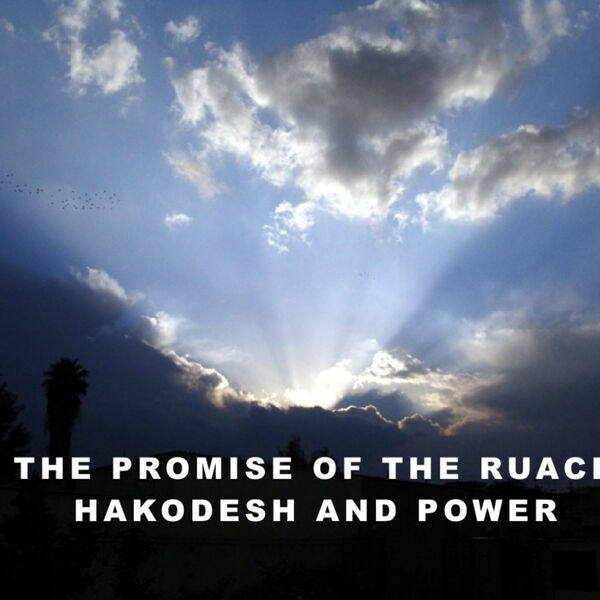 Then in his first letter to the Corinthians he say’s “20 For the kingdom of G-d is not in word but in power.” Power for the believer is connected to the Ruach HaKodesh. He is the one that enables us to access the power of G-d. This Series will encourage us on this power. The good news is that G-d promised that He would send us both His Ruach and His power and today's message will focus on that promise.